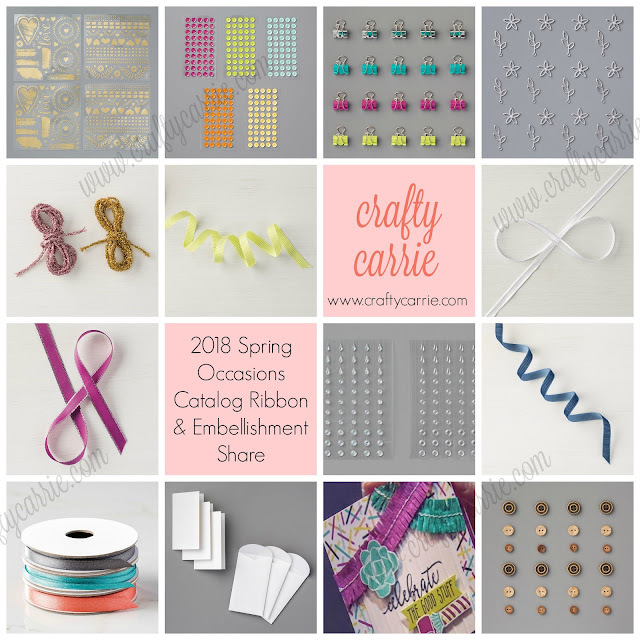 I am so excited to be hosting a round of paper, ribbon and embellishments from the upcoming Spring 2018 Occasions Catalog! You are going to love getting to see all the papers and goodies up close and personal - believe me the catalog pics do not do them justice! With many of the papers featuring foil and glimmer embellishments, you're really going to want to get these in your hands to play with! Please visit my event page for the product shares for all the information on pricing, shipping and reserving your shares. I'll be accepting reservations through Dec 31 and will start sending out invoices for payment on Dec 28. My monthly card buffet is this weekend and I'm so excited to share with you a little sneak peek of the cards we'll be making! I hope this little teaser has piqued your interest and that you'll join us this Saturday in Fremont, CA to make some adorable cards, hang out with your crafty friends and eat some yummy food! I can't believe it's already fall and time to start thinking about holiday crafting! 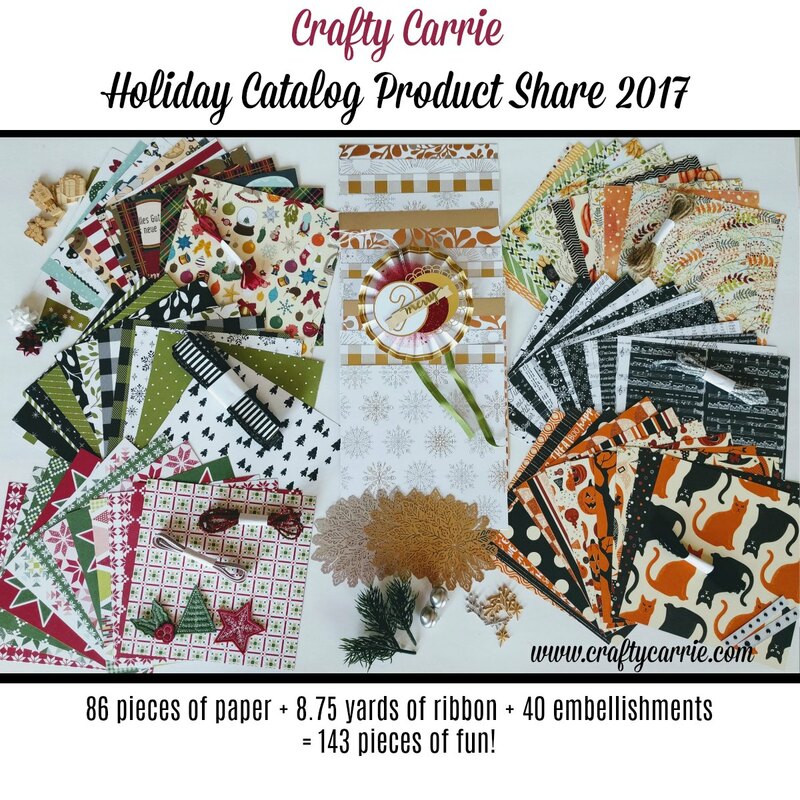 The new Fall/Winter holiday catalog launches in just two weeks and in preparation, I'm offering an awesome option for you to get ALL of the new papers, ribbons and embellishments. 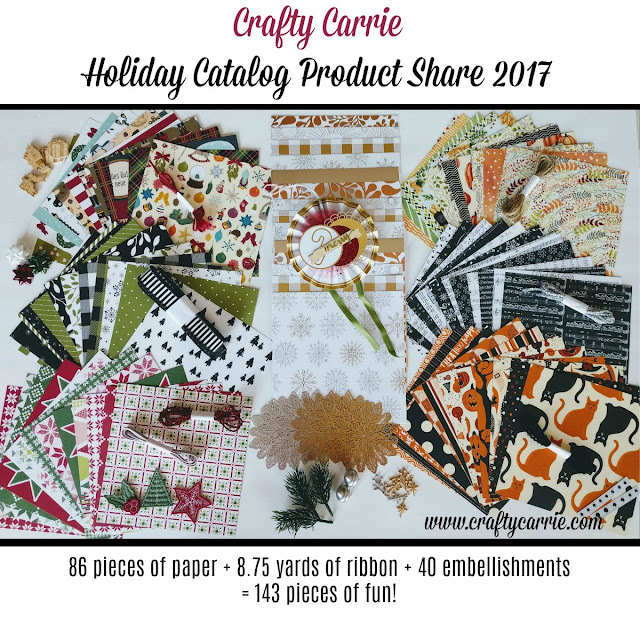 This is a great way to see all the cute things in person before deciding what you want to order to make your holiday crafts! CLICK HERE TO RESERVE YOUR SHARE! Receive a sample from each of the 8 new papers in the holiday catalog, including the new Champagne Foil Sheets! 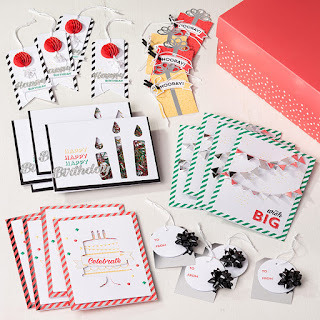 You’ll get 86 pieces of 6x6 paper - a sample from each paper pack, ready for you to craft amazing things! The holiday catalog features seven brand new ribbons and you’re going to want to play with all of them! 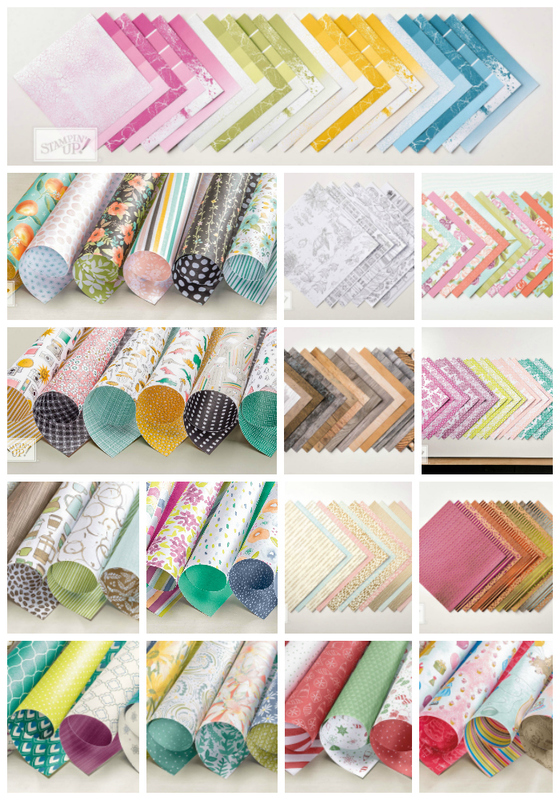 Your share will include 1.25 yards of each of the new ribbons - plenty of each for you to get the feel of the new ribbons and decide which you will need to order full bolts of! You’re going to fall in love love with all the adorable embellishments out of this catalog! From mini bows to packaging options, you’re going to love the opportunity to see the cuteness in person! The Holiday Catalog is bursting at the seams with adorable papers, ribbons and embellishments. 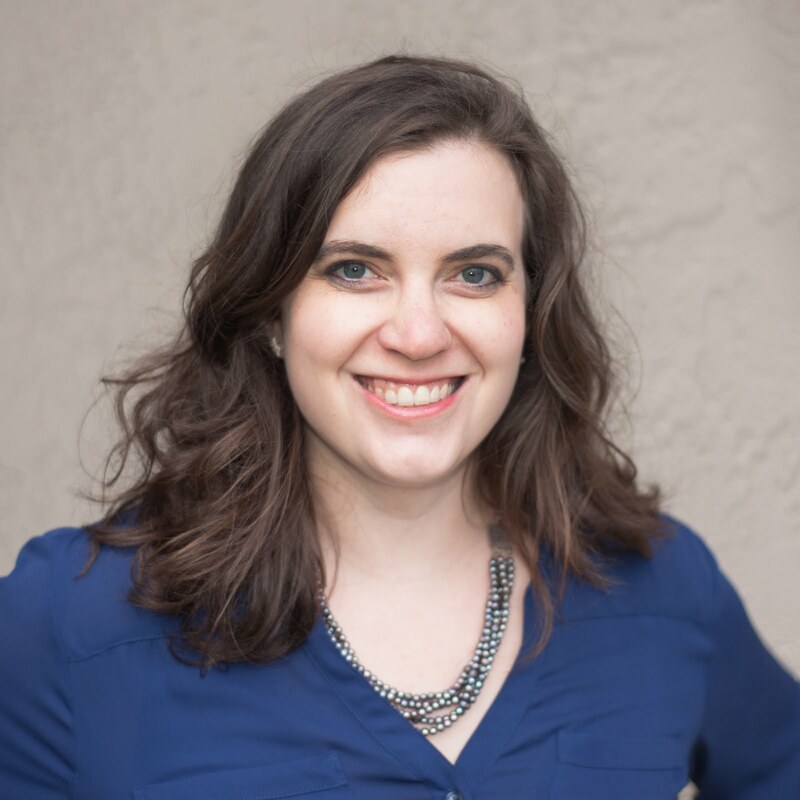 If you want to try them all without breaking the bank, I’m here to help! Sign up for one or all of the product shares and see the amazing products in person - trust me, the catalog does not do these items justice! Step 2: Pay your invoice when you receive it. (I'll start sending invoices via PayPal on Aug 26) Payment due no later than Aug 31st. 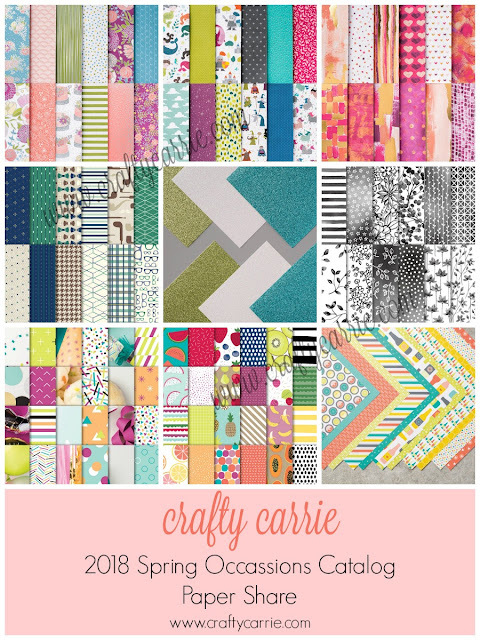 Step 3: Receive your crafty goodies around September 15! Product shares are available only in the US. If there are any product backorders, I will substitute an item of equal value to prevent delays in shipping your shares to you. Paper & Ribbon Share Time! We have TONS of amazing new ribbons and papers in the new Annual Catalog! To order all of it would cost you over $630! I'm offering "shares" so you don't have to buy the whole pack, but get a little bit of all of it to play with! 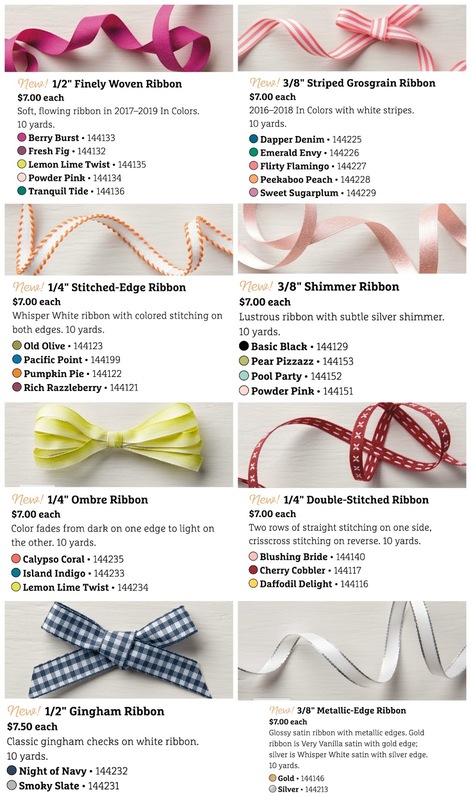 I'm featuring 30 of my favorite new ribbons. You'll get 1 1/4 yards each of 30 different ribbons (that's 37.5 yards of amazing new ribbons!). Each ribbon type will be labled and put in a Ziploc bag for easy storage. 112 total different designs! We have TONS of new paper. 6 X 6 DSP stacks, 12 X 12 packages, specialty paper and more! This ONE share gives you a 6 X 6 sheet of all of it, except Eastern Palace has two sheets that will be 3 X 6. Get both shares and save! $55 for both (plus $7.10 for priority shipping). **If you're local, you can save on shipping and pick up your share at my house. To order either share, please fill out the form below. 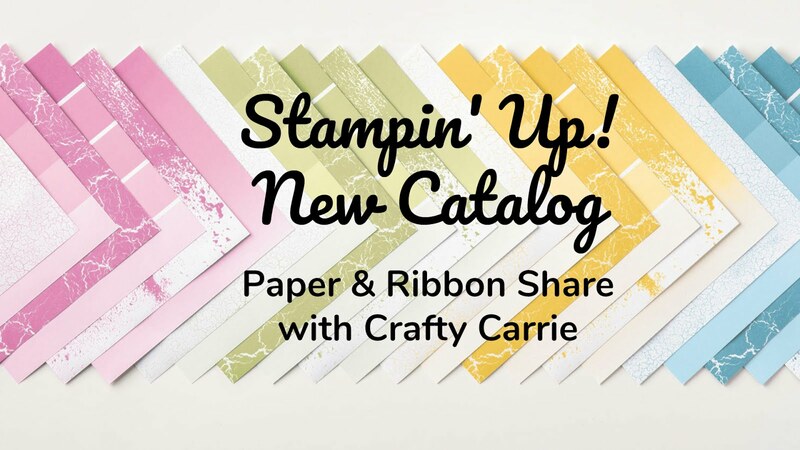 I will invoice you when I have a full group and then I can order all the goodies from Stampin' Up and divide them up! 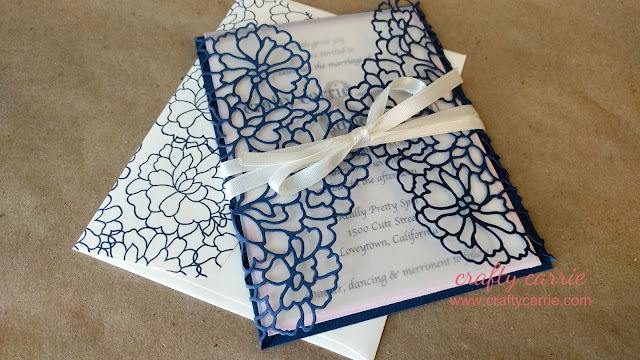 I am so excited to get to share with you a sneak peek of my wedding invitations! When I saw the So In Love suite in the Stampin' Up Spring Occasions catalog, I was a smitten kitten. From the delicate lace details, to the smooth satin vanilla ribbon... it was just lovely. So it was with excellent timing that my fiancé popped the question in January and I was able use this suite for my wedding invitations! Please note - many of the supplies I used in my invitations are available only while supplies last! This means you should definitely grab them up immediately if you want to add them to your stash to recreate this project. 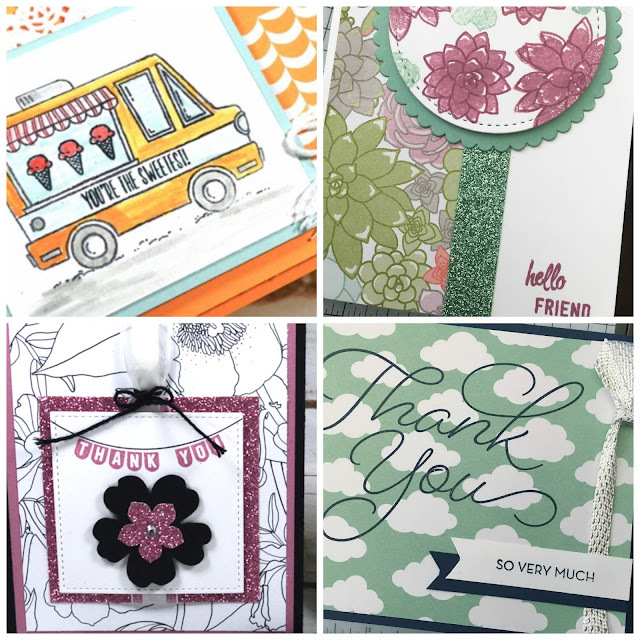 I'm blog-hopping with some awesome demonstrators to show off projects featuring items from the retiring list from Stampin' Up. It's always hard to say goodbye to favorite products... but we have to make way for new, exciting things that will be available with the new catalog in June! Please continue the fun and check out the works of my friends. We love it when you leave comments for us! All of the supplies used on this project are listed below. You can purchase them in my online store by clicking on the image. Please make sure to use the current host code to get 3 free handmade cards in the mail from me ready for you to copy or send! The good news is that you still have a chance to place an order and pick out a free gift and I'm going to sweeten the deal! 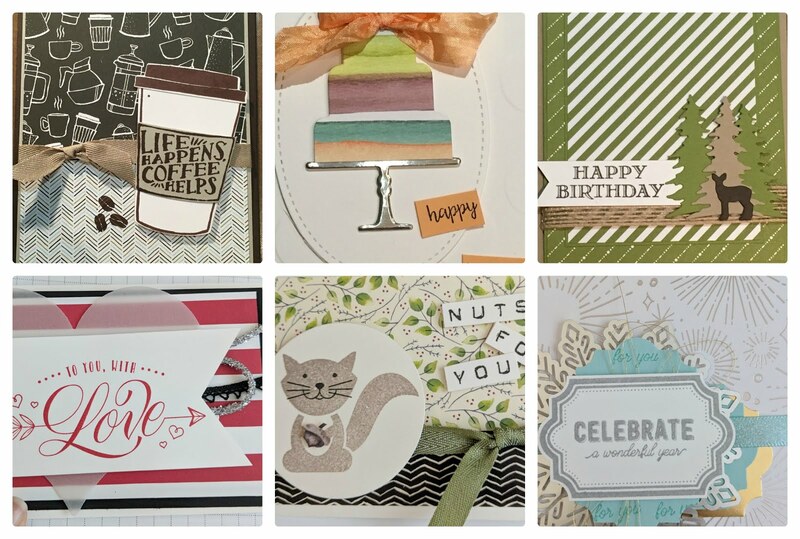 Place an order of $50 or more using hostess code, BH9ANZZT, and I'll send you 5 FREE homemade cards! To get your 5 free cards, your order must be submitted by midnight on Thursday, March 30. You also get to pick out one of these awesome freebies! Make 8 cards of your choice for $16. Class fee is waived with a minimum order at class. I’m collaborating with my talented friend, Kurstan, to bring you 8 different cards to make! The best part is you get to pick your assortment, make one of each or 2 or four or whatever combination appeals to you! This will be our 2nd month at Mountain Mike’s Pizza - it looks like this is going to work out really well! We have enough space to spread out a bit and do more projects than we could in my house. *We will have adhesives available for purchase if you run out or forget anything.